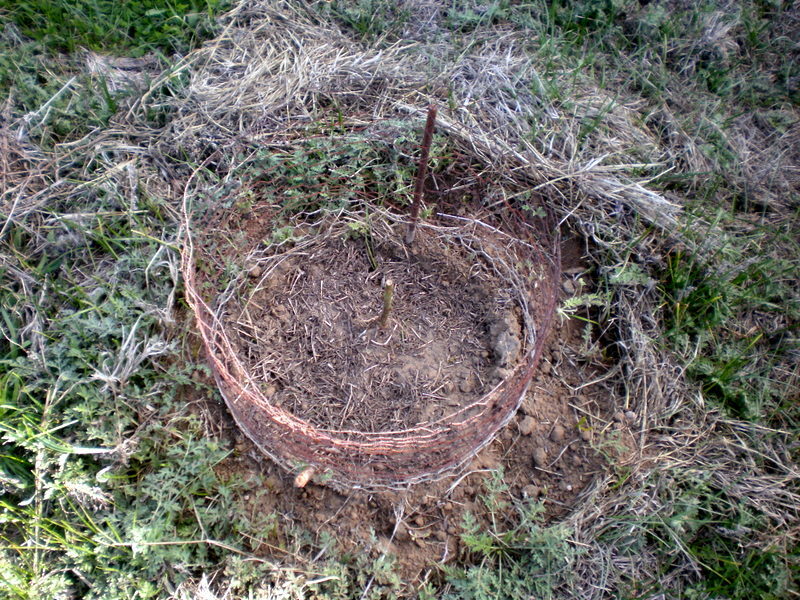 Watch out little peach tree! 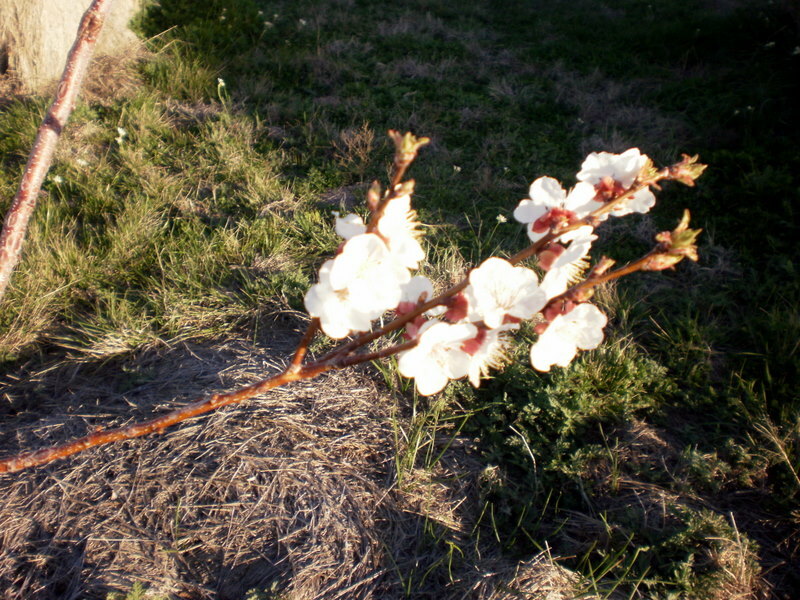 Several of the fruit trees my hubby planted last winter are now blooming. I think it might be too early! The last frost has not arrived yet, I fear! The old-timers go by the mesquite trees, and those trees have not begun to put on green leaves yet. They remain dormant. 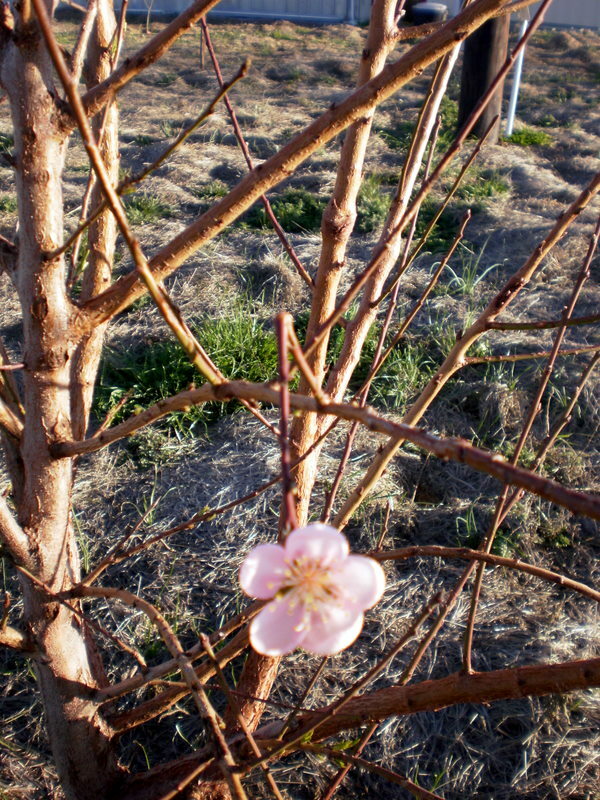 This little apricot tree doesn’t know any better either! Both of these trees were planted a year ago. Can’t believe they are already making blossoms like this. 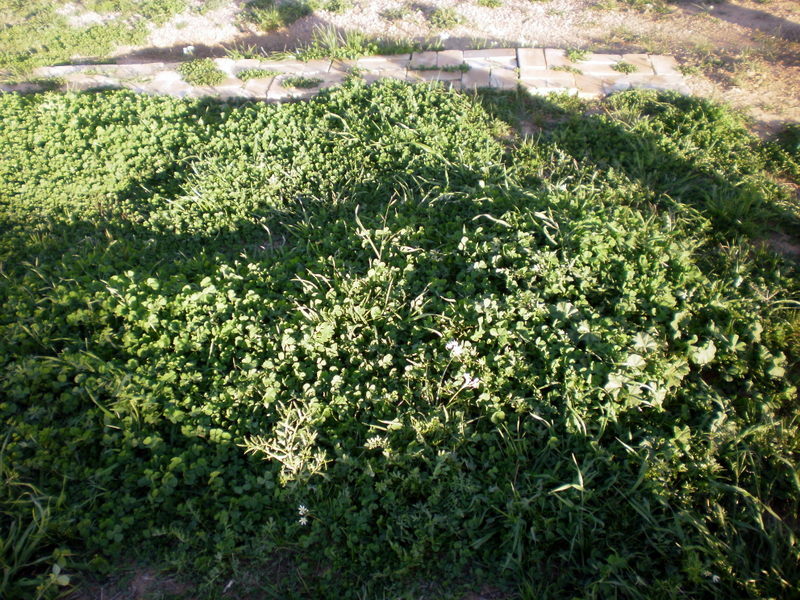 ..and the clover abounds since there are no horses around this year. Ah, the power of rainfall and warm weather! 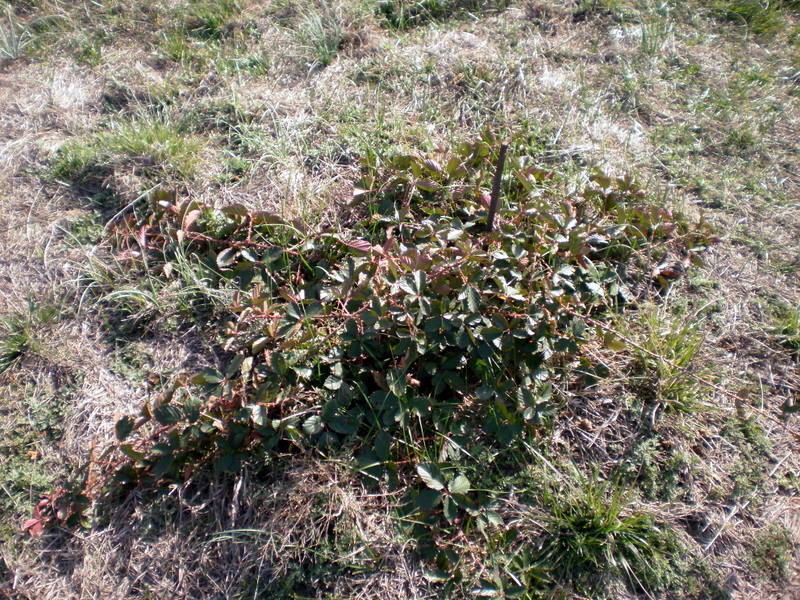 Here is a photo of a blackberry plant that my husband planted a few weeks ago, and the next photo is of a blackberry plant planted last year about this same time. It is amazing what a year’s growth amounts to! Wow! Maybe, we’ll get a handful of berries this year! I can’t wait until I can make a fresh, blackberry cobbler! mmmmmm, good! 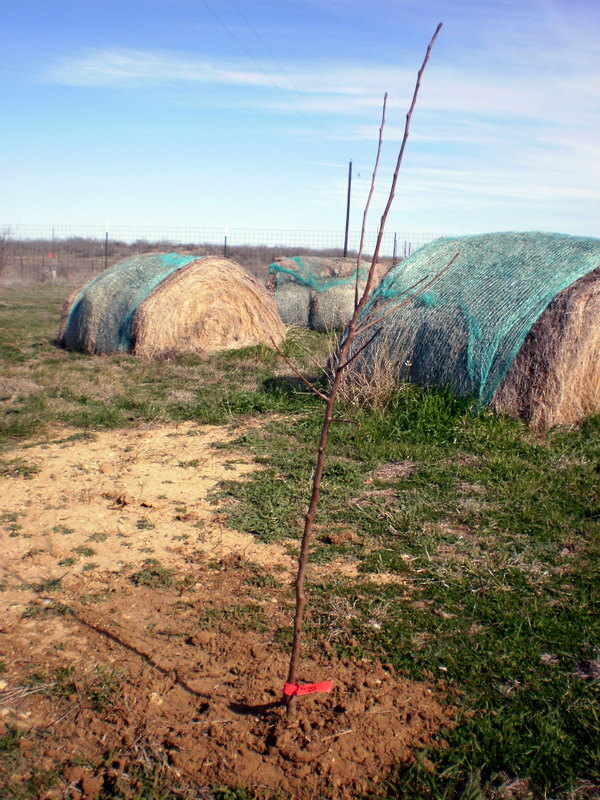 Here is a photo of a fruit tree planted a year ago, and the next photo is of a fruit tree planted this year. I just can’t believe they have grown this much in a year, especially with the Texas drought going on. 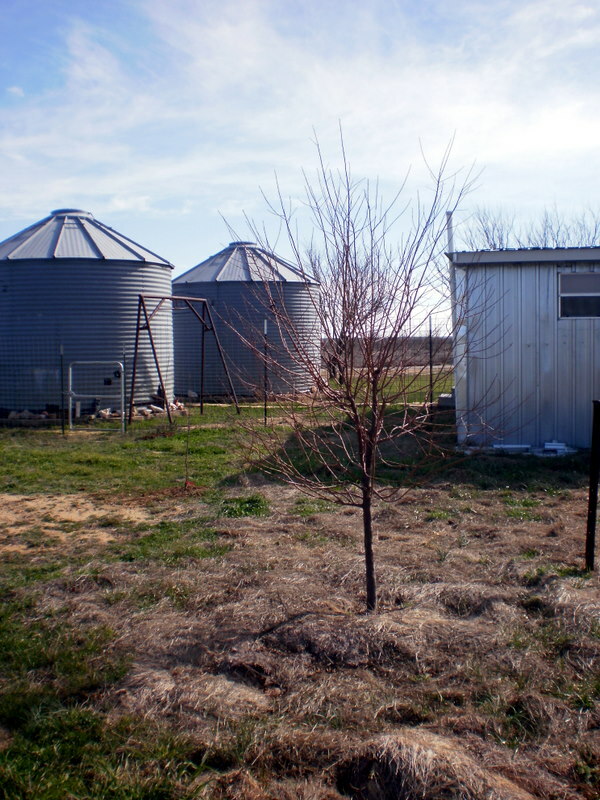 Due to the dedication of my husband to keeping the trees alive, he watered them twice a day, every day last summer, and he did it by hand with a water hose, the trees grew by leaps and bounds.